It was when the snake appeared that I finally acknowledged that this could be an out of the ordinary Ryder Cup. It was on the ninth Fairway, just before midday on Tuesday, and I was following the USA fourball containing Bryson Dechambeau, Patrick Reed, and new best friends Phil and Tiger. And then it appeared, out of the thick rough on my right, bold as brass. That's snakes for you. An older lady who was part of the players' entourage ran past me with a scream catching in her throat, and I reassured her, saying: "Don't worry, it's only a grass snake. And they're harmless." She thanked me for explaining, and it was only when the snake continued its slithering journey towards me that I remembered that I'm no reptile expert. It could have been a poisonous killer for all I know, but there seemed to be general calm among those starting to deal with the situation, and I went along with the general hum. Once it had been helped down a drain it had caused no harm, simply a mini stir. Le Golf National is a haven for wildlife, and a largely peaceful place. I've seen birds of prey hovering over the 10th, ducks relaxing in the pond by the picturesque 13th green, and a wild-eyed USA fan dressed as a dinosaur. It feels like they'd run out of tiger suits at the fancy dress shop, but he went ahead with his plan anyway. His attire is one of the few reminders of the municipal rubbish dump that this place used to be. All of this serves to add colour, to give a sense of what it's like here, but what we're all trying to work out is Sunday's winner. I came here strongly fancying the USA, then I took one look at the course and changed my mind, but now I'm being convinced that my initial instinct may have been right. The crux of it is this. This course is so tight, and so close to nature, and so determined to fill out its own body and no more, that it's not a place where length should matter too much. You'll have read that elsewhere, that course management is king, and that all of that detail falls hugely into Europe's favour. Add to that course experience in tournament conditions, and Europe start to look like a bet. And I get that logic, I really do, but many American observers aren't happy with that reading of Le Golf National, and of their team. I have now been told countless times by ex-PGA tour pros that taking the US length away only weakens them as much as it does Europe. They persuasively explain that this is a course for excellent players, not excellent players who hit the ball a long way. This place is a test of high-quality execution, and the USA are simply better. Of course it can come down to breaks, to form this week, to an inspirational day, and of course that brings Europe into play. 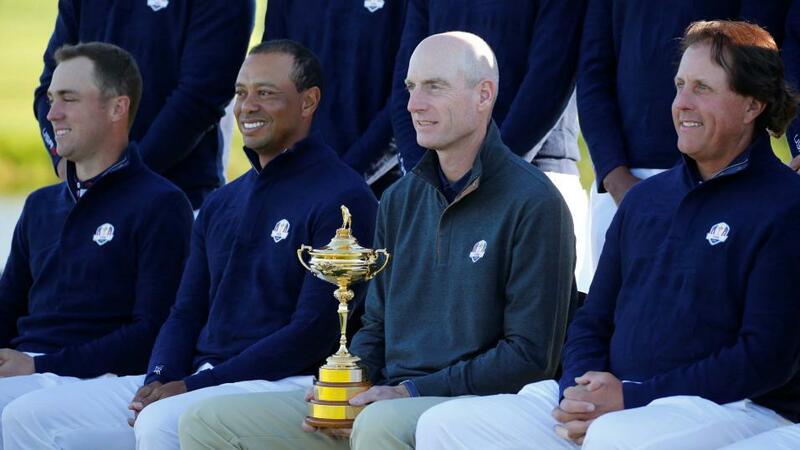 The fact that the USA haven't won a Ryder Cup in Europe in 25 years is also worth remembering, but they arguably haven't had a team as good as this since 1981, and now that they're fully focused on this event, they are seriously dangerous. The golf experts on this website are outstanding, and I would always urge you to listen to them, but it seems that we have a difference of opinion ahead of this Ryder Cup. The USA's 12 stack up well against Europe's and I'm here to tell you, as someone who has walked it multiple times in the last two days, that you shouldn't be kidded by the course. Jim Furyk's team will play well here, and that sense of home advantage, of a set of European players who know this place intimately using that familiarity to their winning advantage is probably a false one. The US players clearly love this place, have warmed to it quickly, and the sense of bonhomie that permeates their team is evident when you follow them around. There are laughs and smiles, some inventive shotmaking, and they'll only get better the more that they practice. That's at odds with some of the rumours I've heard about the European team, who largely get along really well, but have one or two members with whom few want to play. My conclusions are these: that the USA will win, and that their price is drifting for the wrong reasons. They're now approaching even money and that seems almost absurd to me. And that, if I like them to win, then logic dictates that I should support one of their number to finish as top scorer. And the name that leaps out at me is one that the real golf tipsters on this website have pointed towards: Justin Thomas. The only member of the USA team who bothered to come and play the French Open in the summer, Thomas is young and fit enough to be one of the anchors of the team, and will play with real quality teammates until the singles, when it's up to him. Any liabilities on the US team lay elsewhere, and with Woods likely to play only three times in three days, I think that Thomas has a good chance of featuring regularly, and getting on a roll. At [7.6], he's a live bet to finish as Top US Scorer. The news from out on the course is that Woods is hitting it like a dream, and I see him as the threat at [8.6]. For all the intention of using him sparingly, he may play so well that he's hard to ignore. Brooks Koepka was by all accounts in serious trouble on the range yesterday and hasn't looked right, so he may well be best avoided. From a European perspective, simply every pro to whom I have spoken at Le Golf National has commented on Tommy Fleetwood's excellence both in general and here so far. He's primed for this, will surely be happily partnered, will play five times, and looks the best bet for top European points scorer. If you're coming, you'll love it here. I haven't seen a better natural sporting amphitheatre outside Cleeve Hill, and the cheers and echoes will dance around this place for three days, bouncing off the peaks and hollows, which the weather forecast tell us will be dappled in sunlight. It should be some event. Just watch out for the snakes. The Punter's De-Brief: He's back!